Kaivokatu bus stop 2056 is closed from Tuesday 1 November. 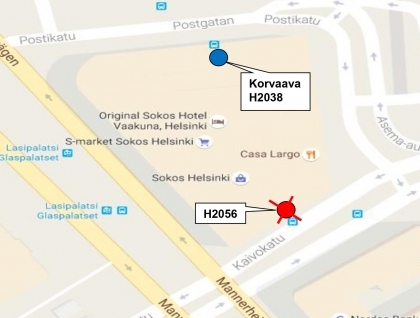 The closest stop is the Postikatu stop 2038. The stop is served 20N, 21V and 39N.